Early on in 2016, I made one heck of a lifestyle change. I decided to drastically change the way I was eating. Going from eating WAY too many carbs and sugar to eating very low carb and zero sugar was difficult at first. Obviously any drastic change in a person’s diet would be difficult, but once I got over the hump, following the Keto diet was the best decision I ever made. Over the course of the past year, I have come across a lot of really great Keto recipes. 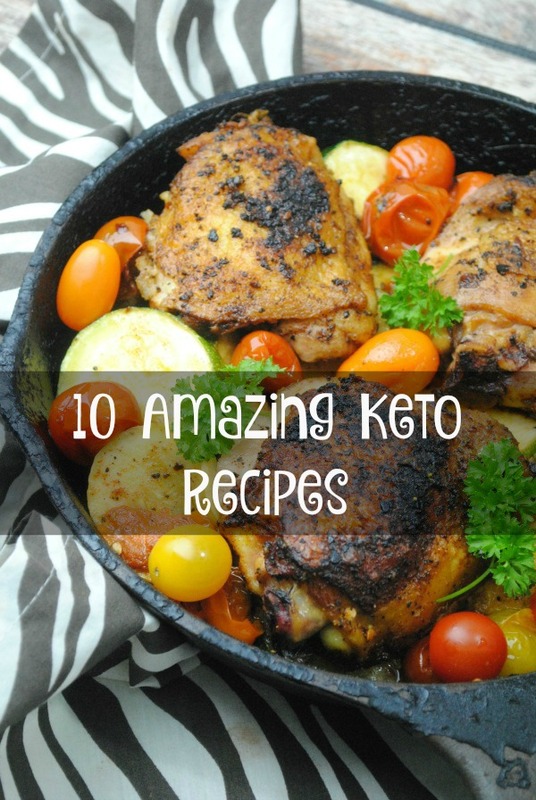 Below are the top 10 Keto recipes! If you aren’t familiar with what the Keto diet is, it’s a way of eating that is high fat, moderate protein and very low carbs. For instance, I only eat 20 total carbs a day. Like any new lifestyle change, it’s a little stressful in the beginning trying to figure out to eat. Well stress no more! I put together the following list must try keto recipes! 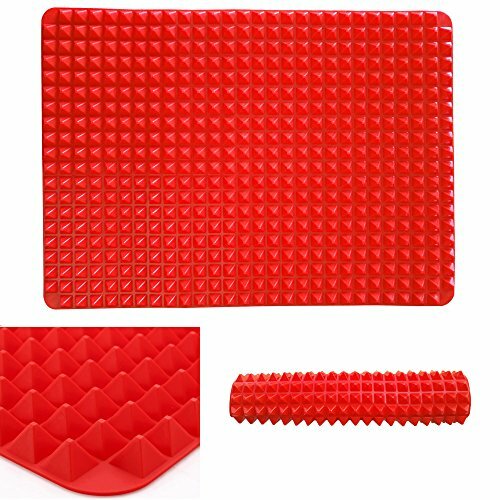 Pro tip…pick up this silicone mat. It is AWESOME to cook chicken on. Just trust me! These recipes I have made myself and love. Especially the Chorizo Chicken soup. You have to make that! Bacon Wrapped Smokies – perfect to make this weekend if you plan to watch the Super Bowl! Bacon Wrapped Jalapeno Poppers – another great recipe for this weekend. Chorizo Chicken soup – my personal favorite! The following recipes are Keto recipes that I can’t wait to try! If you try them before me, you have to let me know what you think! They sound delicious to me! Mini Everything Bagels – say what?!? These sound delicious! Don’t these Keto recipes sound amazing?!? If you have any questions about starting this amazing lifestyle, please don’t hesitate to leave a comment below or send me a quick email. I’d love to answer your questions, if I can or point you in the right direction! Oh shoot…I forgot to add one of my other favorite recipes! Fuzzy Navel Gummy Bears! Yes…gummy bears! Just pick up one of the adorable molds below, follow the recipe and you have a yummy, guilt free treat! Thank you so much for the great recipes! I’m not actually on keto, but I am a total carnivore, so these work really well for me! Yay! Ooo we are on Keto now and I’m always looking for new recipes. I need to grab a cookbook! I have a friend that is on a keto diet and she loves it. I will definitely share this post with her so that she can have some more recipe ideas. All I know is that I must try that coconut chicken soup! That sounds absolutely delicious and is so unique! I am not on keto but I am on a high protein low carb diabetic diet so this works for me! My best friend’s brother just recently started a Keto diet and he is totally loving it. I have been so curious about it so I’ll definitely have to check out these Keto-friendly recipes. Some of these recipes look really good. I have a couple of friends who are haivng some success with the Keto diet. I’m on Nutrisystem but I have tried a few Keto recipes on the days I don’t eat my Nutrisystem. It’s definitely hard to make a lifestyle change like this. But it looks like you are sticking to it and enjoying it. I’ve been doing Keto for a week now. I am glad I found your meals. I haven’t been eating meals just an assortment of allowable food not very satisfying. These look great, I have PCOS so everyone has been saying to try a keto diet but I didn’t know really where to start. I will have to try these recipes. I know so many people that are on KETO and swear by it. I don’t eat meat anymore so not sure how I would be able to do it. My SIL and I talked about the Keto diet on Easter Sunday and we both would love to try Keto recipes so this is perfect timing. Will check those recipes out. Thanks for these great recipe. I’ma ctually vegan, but one of my best friends is trying out keto, and i know she’d appreciate this post! We’ve been on Keto for 6 years and really enjoy it! Will have to check out these recipes! Thanks for sharing the recipes! I am not on Keto diet but prefer low carb foods on daily basis. Sounds like a great recipe! I’ve been looking for new Keto recipes, can’t wait to try yours out!